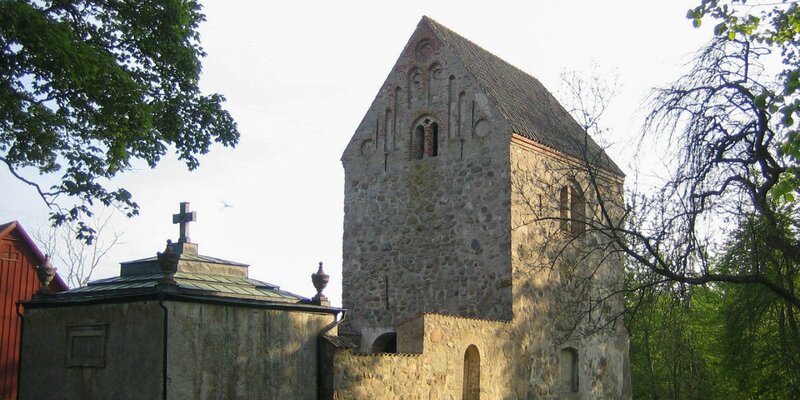 Kalkugn i Smygehamn is the oldest completely preserved lime kiln of the region and is located just a few hundred meters away from Sweden's southernmost spot Smygehuk. The lime kiln in Smygehamn was built in 1850 and it is the only one of four other former furnaces that were used for early industrial production of quicklime at this place. 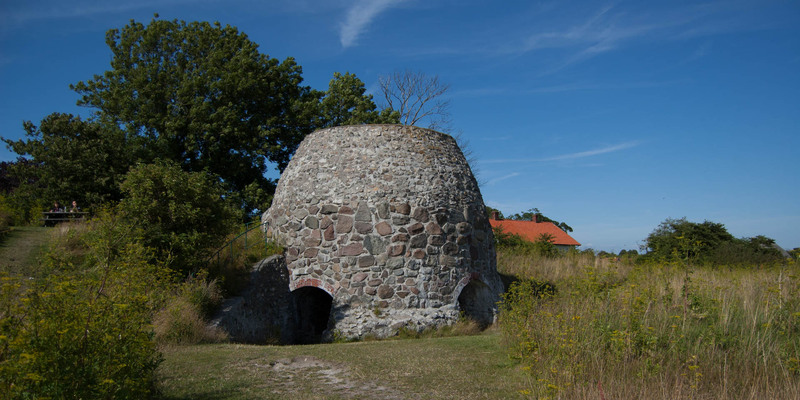 This kind of lime kiln was operated in Smygehamn from the early 19th century to mid-20th century. The former quarry where the limestone was broken is today a harbor, just a few meters from the lime kiln ruin away. 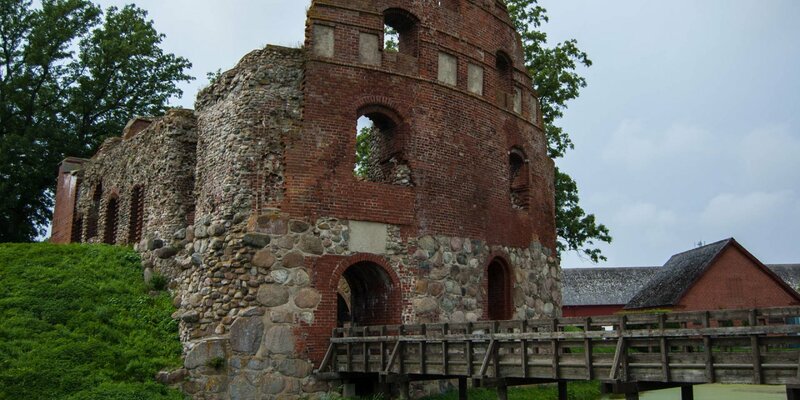 More lime kilns are located in Östra Torp, about 2 kilometers north of Smygehamn. 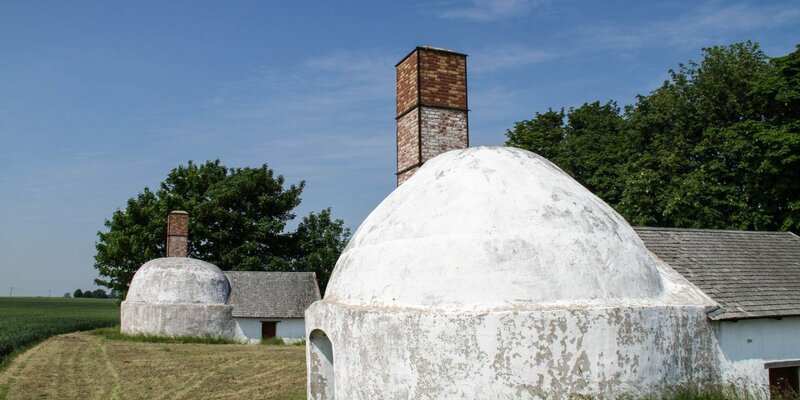 There you can find eight preserved and restored kilns. The chemical process in which quicklime is produced, the so-called calcination, has been known since the earliest antiquity. The limestone disintegrates under the effect of heat into its components CO² and calcium oxide (quicklime). The quicklime only need to mix with water to use as a building material. The type of furnace, as it stands at Smygehuk corresponds already to an industrial plant. For operation of the furnace it was filled with a thick layer of coal. On top of the coal the limestones were piled up. Then the entrance was bricked up and the stove was ignited. During the buring time of about 40 hours the temperature rised up 1,000°C. After the coal was burned, the kiln was cooling down for a day, before it was opened. A lime kiln of this size could produce 20 cubic meters of quicklime with each run. Therefore the use of 5 to 6 tons of coals was needed.